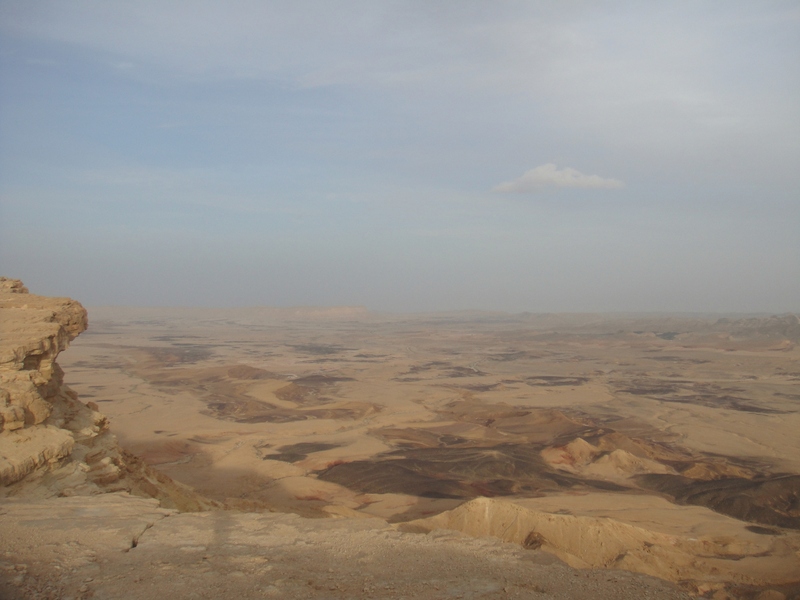 A dear reader recently commented to me on the bleak nature of Israel’s Negev region after viewing this post. 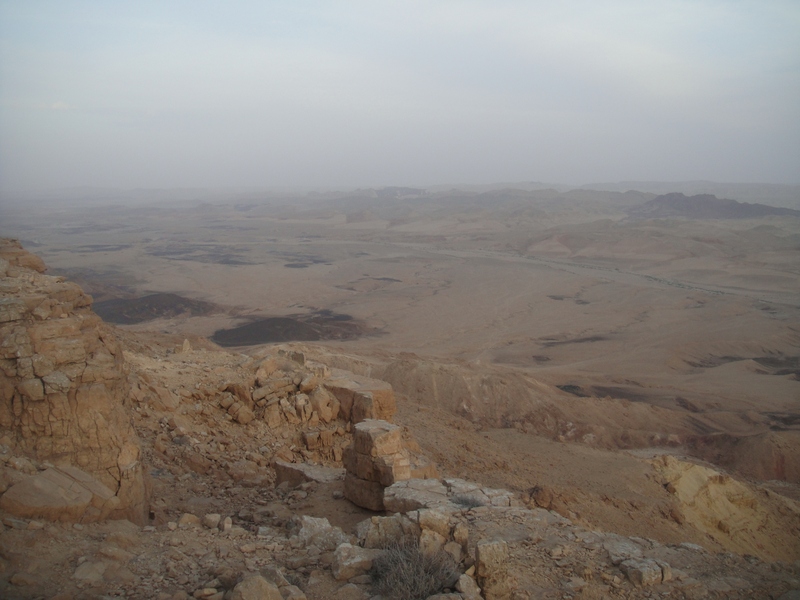 Certainly Israel’s Negev is a harsh landscape and doesn’t harbor the greenery found in a region such as Banias or Galilee. 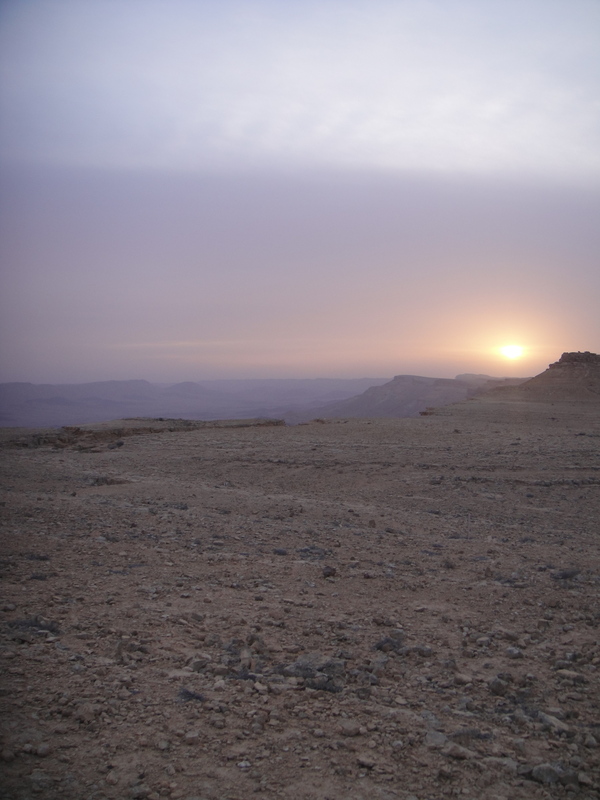 However, The Velvet Rocket staff are attracted to stark landscapes and the Negev desert’s Makhtesh Ramon provides that in abundance. 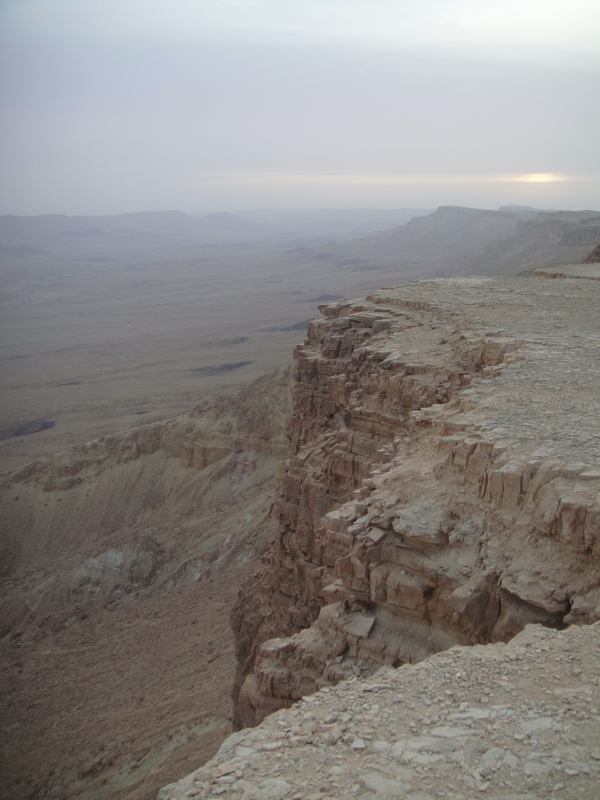 Fortunately, as with America’s Grand Canyon, Makhtesh Ramon is also a National Park – Israel’s largest – the Ramon Nature Reserve. At 500 meters deep, hundreds of millions of years of strata are exposed, making this a fantasyland for enthusiasts of geology. 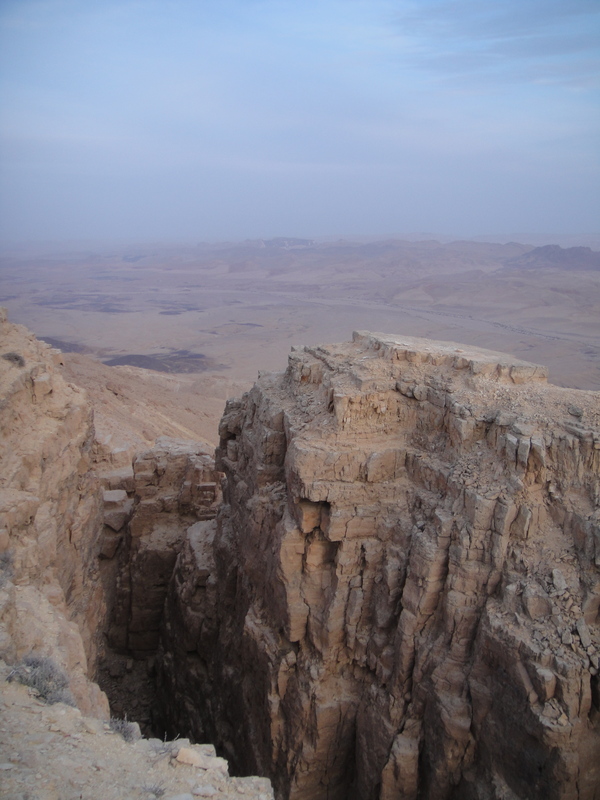 Further, owing to the Negev being covered by an ocean hundreds of millions of years ago, the cliffs on the north-eastern edge of Makhtesh Ramon were once entirely covered by spiral ammonite fossils ranging in size from several inches to several feet across (most of the larger fossils have been removed). 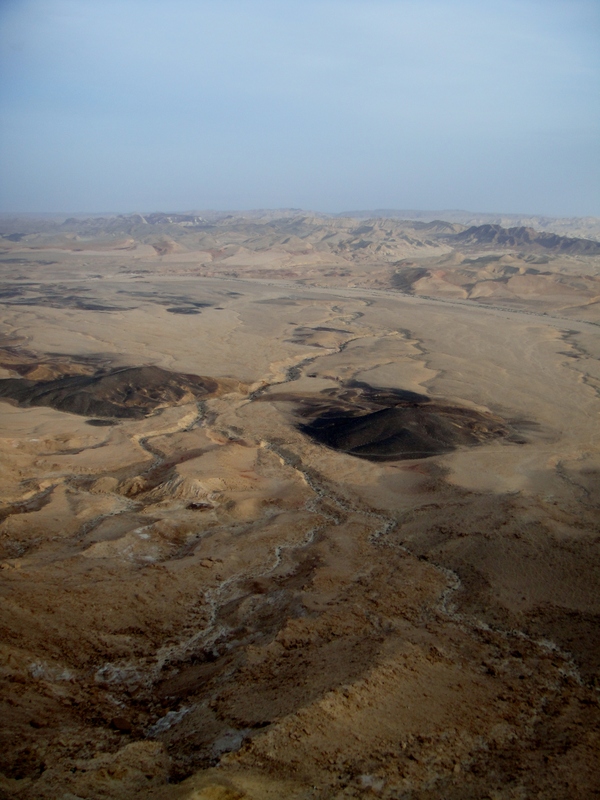 Tags: Crater, Eleonora Ames, Israel, Justin Ames, Makhtesh Ramon, Negev, Ramon Crater. Bookmark the permalink.